Models like Gigi Hadid and Kendall Jenner no doubt fill up your Instagram feed – but which models around the world garner the most search traffic on the Internet? SEMrush data provider conducted a study on the most popular fashion models on the web based on average monthly searches – and some of the results may surprise you! Not only does the list feature runway royals like Adriana Lima and supermodel starlets like Bella Hadid, it also highlights a few celebrity models who are more known for other careers like acting, singing or politics. The Brazilian bombshell racks up 823,000 average searches a month, according to SEMrush's study results. Lima is an OG Victoria's Secret Angel, starting back in 1999. We all know Lana as the "Summertime Sadness" songstress, but she also has a side venture as a professional model, signing with Next Model Management agency back in 2012. She scores around 1,220,000 searches monthly. Klum ties with Del Rey at around 1,220,000 monthly searches. The German model has done way more than rock the runway, however. She's also a TV personality, actress and business woman. Another model that comes in around 1,220,000 is Bella Hadid. Younger sister to model Gigi, Bella has made her own name in the fashion industry, walking in shows from Versace to Fendi. Another multi-talented star – actress and yes, model, Johnson scores around 1,500,000 monthly searches. Johnson signed with IMG Models in 2006. Upton comes in at number five with 1,500,000 average monthly searches. She got a big career push after being named the Sports Illustrated Swimsuit Issue Rookie of the Year after her 2011 appearance in the magazine. 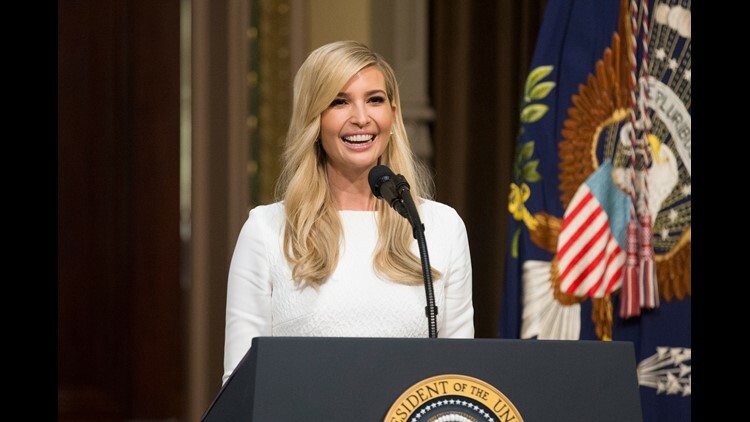 Before she was first daughter, she was a fashion model. With 1,500,000 average monthly searches, Trump hits the list at number four. Among her notable modeling gigs is a print advertisement for Tommy Hilfiger and runway show for Versace. The brow queen comes in at number three with 1,830,000 monthly searches. Delevingne is also an actress, author and singer. 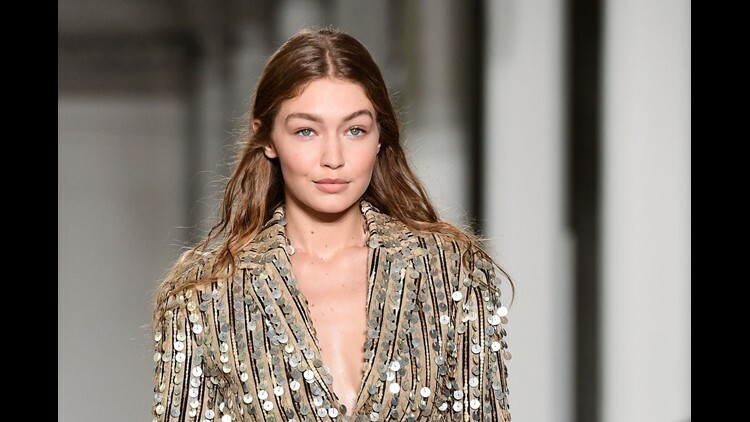 The older Hadid sister garners around 1,830,000 monthly searches thanks to her massive following (on Instagram alone she has over 43 million followers). She's walked for major fashion brands including Marc Jacobs, Chanel, Michael Kors and more. With an incredible 2,740,000 average monthly searches, the oldest Jenner sister makes the top of the list. Signing with Wilhelmina Models in 2009, she began modeling at the young age of 14 and has since walked for countless major labels including Chanel, Dolce & Gabbana, Balmain and more. Dream team! Claudia Schiffer, Elle MacPherson, Naomi Campbell and Christy Turlington — these were some of the faces that defined the runway in the '80s and '90s. Revisit the heydays of the "original supermodel," and click through to see how they're doing these days. In 1999, Vogue reunited the era's most famous faces for a mega-shoot: Kate Moss, left, Gisele (on floor), Lauren Hutton, Iman, Naomi Campbell, Stephanie Seymour, Christy Turlington, Claudia Schiffer, Amber Valletta (on floor) Lisa Taylor, Paulina Porizkova, Carolyn Murphy and Patti Hansen. Kate Moss was a defining face of fashion in the '90s, shown here modeling for Marc Jacobs in 1995. Moss and her former beau Johnny Depp in 1995. Moss holding hands with fellow supermodel Naomi Campbell as they leave a Versace show in 1997. Moss still models today, as seen at Cannes in 2016. Moss walking the runway at the Fashion for Relief event at Cannes in 2017. Brooke Shields was an iconic face of the '80s, becoming 'Vogue's' youngest cover model in 1980 at just 19-years-old. Shields was close with Michael Jackson, seen arriving at the 1984 American Music Awards. Shields holds up two masks of her own face at the end of a press conference in 1985. Shields has consistently appeared in acting roles since her modeling heyday, seen here at the 2017 CFDA Fashion Awards in June. Shields at a screening of 'Miss Sloane' in December 2016. Naomi Campbell, another defining face of the '90s, models for Valentino in 1995. British model Naomi Campbell presents evening wear from designer Vivienne Westwood during the 1994 spring/summer British Fashion Awards in London, Tuesday 19 October, 1993. Westwood was a nominee, but the British Designer of the Year award went to John Rocha. Campbell continues acting and modeling today, appearing in 'Empire' and 'American Horror Story,' seen here at Cannes earlier this year. Here, a fresh-faced Gisele Bundchen applies makeup prior to 'The Victoria's Secret Fashion Show' in 2001. The Brazilian supermodel was also among the '90s golden girls, seen here at the VS show in 2002. Gisele on the cover of 'George' in 2000. Today, Gisele continues to model and make public appearances with her quarterback husband Tom Brady, with the couple seen here at the 2017 Met Gala. Christy Turlington was a '90s fashion darling, appearing here in Christian Lacroix's 1991 show. Turlington walking for Sonia Rykiel in 1994. Now married to actor/director Edward Burns, Turlington is an active celebrity humanitarian, seen here in 2015. Danish supermodel Helena Christensen reached worldwide fame after appearing in Chris Isaak's 'Wicked Game' music video, seen here modeling for Chloe in 1998. Christensen on the runway for Sonia Rykiel in 1995. Christensen poses with Christy Turlington in 2008. Now, Christensen is known for co-founding 'Nylon' magazine and her photography, seen here in June 2017. Linda Evangelista, among the most famous models of her era, famously bragged about not waking up "for under $10,000" a day. Evangelista modeling for Ralph Lauren in 1997. A notorious fashion chameleon known for her changing styles over the years, Evangelista is just as fabulous today, seen here at a fashion week in Italy in 2009. Evangelista at the White House Correspondents' Association Dinner in 2014. A 1979 photo of Christie Brinkley, who made a splash by landing three consecutive 'Sports Illustrated' covers in the late 70s. Brinkley with her then-husband Billy Joel in 1988. Brinkley's 'Got Milk' ad from 1995. The resemblance between Christie Brinkley and daughter Sailor Brinkley Cook is striking. The Somali-born Iman has been a fashion icon from the '70s onward, seen here in 1994. The model-turned-entrepreneur launched her eponymous line of cosmetics in 1994, seen here on the red carpet in 1997. Iman married David Bowie in 1992, seen here with the rockstar in 2010 before his death in 2016. Cindy Crawford was already an iconic supermodel before her 1992 Pepsi ad. Crawford with then-husband Richard Gere at the 1993 Oscars. Crawford on the runway for Herve Leger's 1996 Spring-Summer ready-to-wear collections. The model recreated her Pepsi ad in 1997 with Bridget Hall and Tyra Banks for another Super Bowl spot. Today, Crawford has also launched a number of business ventures, seen here speaking during the Partnership for a Healthier America Summit on May 12, 2017. Here's Crawford in 2017, on the red carpet at Marie Claire's Image Maker Awards in January. Famously known as "The Body," Australian model Elle Macpherson was famous for her swimsuit shoots, seen here in Victoria's Secret Christmas dreams catalog in 1994. MacPherson, left, with Naomi Campbell and Claudia Schiffer in 1995. In recent years, Macpherson has launched a number of fashion and beauty ventures as well as appearing on runways, seen here in 2013. Macpherson celebrates the launch of her Super Elixir skin product in 2014. German model Claudia Schiffers' Brigitte Bardot glamour made her an international star, seen here modeling for Valentino in 1993. Schiffer continues doing editorial work today, posting before the Chanel Paris show in July.